I never thought of raspberry patches as coming with an expiration date, but last year I realized that all good things must come to an end. Our everbearing red raspberries started as a single freebie thrown in by Raintree in 2007 when we ordered several fruit trees. Now, a full decade later, that singleton has expanded into two patches on our own farm plus several in the gardens of family and friends...but the original planting is finally starting to lag. 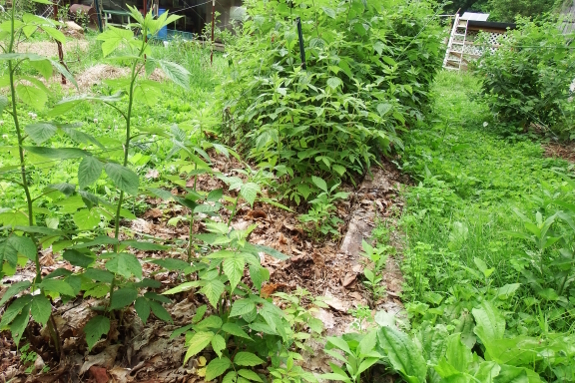 In the photo at the top of this post, the dividing line between the summer-bearing raspberries (begun as one plant three years ago, background) and the ever-bearing raspberries (ten years old, foreground) is startlingly clear. Luckily, the solution is neither difficult nor expensive. This fall, we'll buy another single plant of an ever-bearing variety (or maybe several if I'm feeling like a spendthrift) and we'll be rolling in spring and fall berries in no time. So despite their expiration dates, ever-bearing raspberries continue to make the cut as one of our easiest and most dependable fruits. 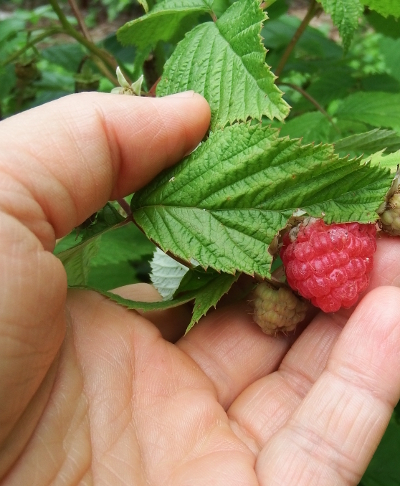 I've got raspberries from Raintree as well, about 8 years old (although I started a new bed in a better location from runner sprouts a couple years ago). Are you saying that the plants peter out after a decade or so? Is the time reset by starting from new "runner" plants? I would highly recommend both Prelude and Ann Yellow as replacements. They've been growing strong for me for the past 4+ years for Prelude and 8+ years for Ann Yellow. They can be found at Stark Bros. I was going to ask a similar question. I'm not sure I understand the need for an entirely new stock. Could you not just root some cuttings of your current ever bearing variety, even if elsewhere?